On New Years Eve Day Kathy and I drove to Lancaster, PA and met with the Drive Home II Road Tour. We had lunch with them and everyone was so nice. Only 2 of the 3 cars made it to Lancaster as the 1966 Mustang was having transmission problems in New York City and was being repaired. The Drive Home II is a 12-day, 2,150 mile winter road rally from Boston to Detroit for the North American International Auto Show. NAIAS will feature ACM’s 1957 Chevrolet Nomad, 1961 Chrysler 300G and 1966 Ford Mustang, all of which completed the first “ The Drive Home” in late 2015/early 2016, from the Museum’s headquarters in Tacoma, Washington, to Detroit. To celebrate its 100th anniversary, J. D. Rockefeller’s 1917 Crane Simplex will also make appearances on the trip. A few days earlier I messaged them and asked how the "G" was running and if it needed anything as I had "stuff". I also heard that the "G" was having a problem with squealing brakes in or around New York City and Don Verity helped them find some new brake shoes. It turned out that the front brakes were overheating and squealing. They adjusted the rear brakes and that seemed to correct the problem so while they bought the new shoes they didn't install them. Apparently with the rear brakes out of adjustment most or all of the braking was on the front causing them to heat up and squeal in NYC traffic. 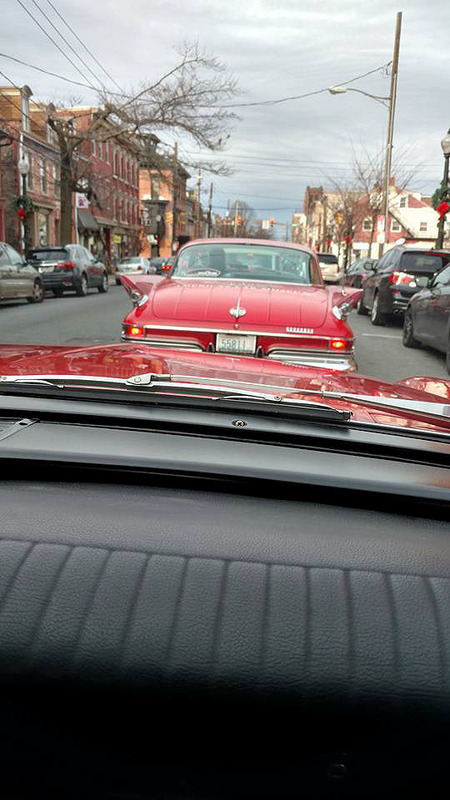 The 57 Chevy station wagon and the 300G arrived in Lancaster as scheduled at 1:00. The G just so happened to be right next to my 62 300 sport Convertible. 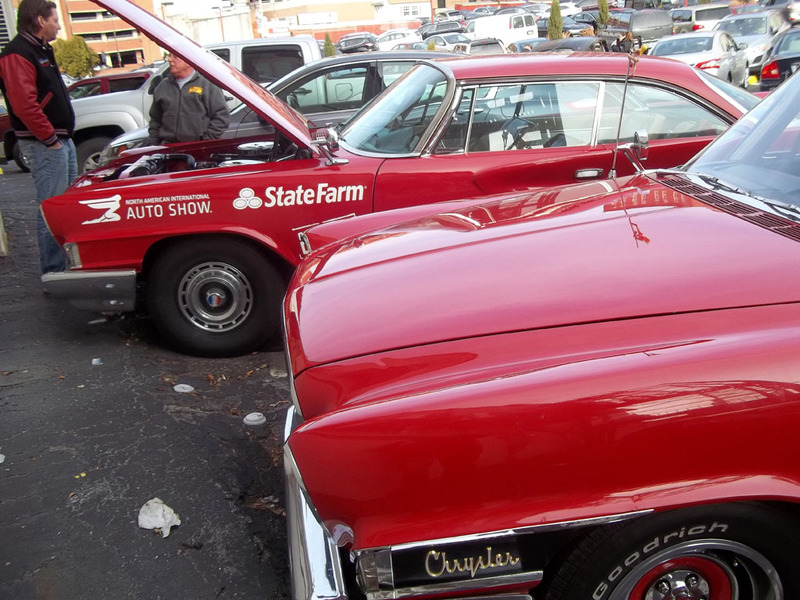 After social time and lots of photos we followed the tour cars to Allentown, PA. It was fun following them to Allentown and to be part or the tour for this short leg of their trip to Detroit. After a few miles we stopped for gas. William Hall, the driver of the G said that he should have gotten back to be about parts and fixing something on the G. He said that the G's turn signal were not working. I was following the G and thought "Gee, don't these people use signals". Anyway, I went over to my trunk and got a spare flasher I had, installed it in the G and fixed the problem. He was very thankful and so happy to have turn signals. After we arrived to the hotel in Allentown we said our good byes and went home. It was a very beautiful and memorable New Years Eve Day. The rest of the evening was very nice too but that would be "too much information". Happy New Year to everyone in the 300 Club.